Since the beginning of the nineties, the initials of GUCHEN people have been devoting to the experiment and creation of air conditioning systems for commercial vehicles. At that times, this pioneer activity ought to be the first Chinese entity producing Air Conditioning Systems in this field. Later in 1997, GUCHEN established itself as a Company ---ZHENGZHOU GUCHEN INDUSRTY CO., LTD., which is located at the home of Yutong Bus and Shaolin Bus. All long the nineties, the company’s business has been oriented to the bus air conditioning systems and the trading of Zexel compressor in China. While starting from the new century, based on traditional air conditioning business, people of GUCHEN have researched and developed another core business---transport refrigeration units for trucks and vans. The new business brings to GUCHEN many chances as well much challenges, yet we hold on to think we can provide better products choice for customers, for which we can go far. 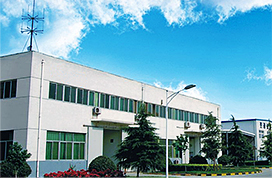 Today, after more than 15 years’ journey of exploration and improvement, GUCHEN has developed itself into a world leading manufacture and supplier of bus air conditioners, transport refrigeration units and bus air conditioner parts (compressors from Bock, Bitzer and Valeo, magnetic clutch, blower, fan and so on) in the field of vehicle climate control solutions. GUCHEN never stops striving for better products. Early in 2003, new plant of GUCHEN located at Zhengzhou National High-Tec Industry Zone, is completely finished. 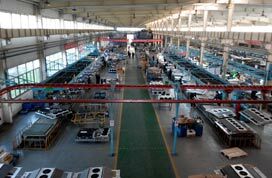 25,000 square meters of modern, automatic and self-contained premises, facilitates the constant and punctual increase of Guchen’s turn-over, and make GUCHEN stand in the leading edge of the global HAVC and Refrigeration industry. 1997 Company established , In the same year, introduce the Zexel (Now called Valeo) DKS-32 compressors and Bock FK 40 series compressors to China market. 2000 , As the OEM supplier of bus air conditioning system for Yutong Bus, King-Long Bus and Yaxing Bus, which are active in the bus industry of China. 2005 Exported bus air conditioners to Colombia. 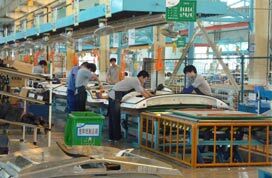 2006 Successfully developed one new project- transport refrigeration systems. 2011 GUCHEN's transport air conditioning / rerfrigeration unit Exported to Mexico market by our partners of bus air conditioner products. 2012 Enter into key market of Latin America, i.e. Brzail, Peru, Ecuador, Chile,Argentina. 2016 Enlarging our sub-engine (Independent) bus air conditioning systems market share in Middle East and Southeast Asia market. To create a platform that our workers are happily engaged in what they do and become a bridge that links professional growth and personal values; To build up a practical, efficient and cooperative team which everybody works here shares a sense of mission and responsibility and a caring heart; To develop into an global enterprise that integrated investment with trade. Guchen will continually improve the user experience with our advanced technology, high-quality products, cautious attitude and best service, build a harmonious and progressive working atmosphere for our staff and create a considerable profits for company, which make society more prosperous and world more open and connected. And Guchen is committed to be the leading global supplier and solution provider in cold-chain equipment, commercial vehicles, cement production lines, refractory products and other relevant fields.So accurate positioning, proper strategy, persistent efforts and constant updating and improvement are what we insist on. No doubt that Guchen’s development is inseparable from our staff’s dedication, customer and colleagues' support, governmental kind attention, even some advice from strangers.So Guchen treats each employee with respect and improves their welfare as much as possible. Also Guchen, on the basis of indigenous innovation, will rewards the customers and serves the society with scientific management, advanced technology, excellent products, reasonable price, and best service. Human-oriented, cherish and respect the employees, understand and value the clients , service and feed back to the society is the persistent conception of our company for the long-term development!